In our society, preppers are generally regarded as paranoid or even crazy. The truth is that preppers are among the most responsible of people. They’re constantly looking ahead to potential emergencies or disasters and preparing accordingly. We all know it’s wise to do this (that’s why insurance exists), but since most people in the first world have never experienced a life-threatening disaster, they think it will never happen. Preppers know better. 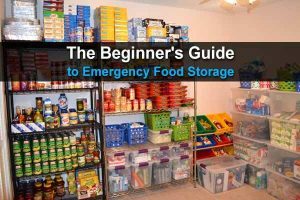 Perhaps you’re someone who recognizes the value in being prepared, but at the same time you’re hesitant because of the “crazy survivalist” stigma that often comes with prepping. First of all, you don’t have to tell everyone you’re a prepper; and second, who cares what other people think? After the SHTF, it won’t matter if people thought you were crazy. 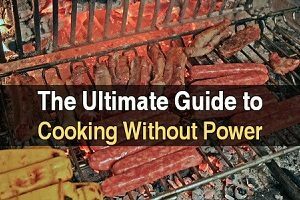 In this article, I hope to convince you that there are plenty of reasons to start prepping right away. Here are just 33, but there are more. 1. Economic Collapse – We live in a very unstable world economically. Just look at what happened in Venezuela. That’s why it’s important to be prepared for the next Great Depression. Unless you’re very old, odds are it will happen in your lifetime, so why not prepare now? 2. The National Debt Implodes – This technically counts as an economic collapse, but it deserves attention of its own. The National Debt of the United States is staggering, and if it implodes, things are not going to be pretty. 3. Terrorist Attack – Not only is the world we live in very unstable economically, it’s also a largely unsafe world. We see reports of terrorist attacks in the news on almost a daily basis. It’s only a matter of time before there’s a major attack in your country, and you can never be too sure that it won’t be close to your home. 4. Nuclear Reactor Disaster – Even if the nearest nuclear power plant to your home is miles away, don’t discount the possibility of the radiation reaching you. 5. Drought – When droughts happen, they are devastating because they dry up the food supply. 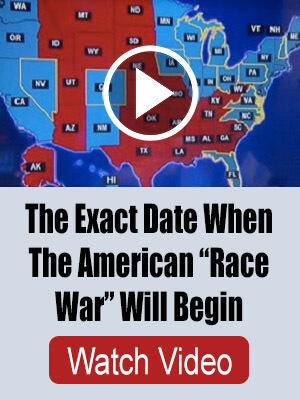 Stocking up on food or growing your own is a great way to prepare for this. 6. Tornadoes – Yet another major disaster to prepare for is tornadoes. Even though they form most commonly and largely in the Midwest, they have been known to pop up in other areas of the country as well. Make sure your home is ready. 7. Earthquakes – Earthquakes will crumble everything in their vicinity, and even if they don’t affect your area, they will still send thousands if not millions of refugees your way. Get ready. 8. Hurricanes – This one only applies to you if you live along the coast, but even if you don’t live near the coast it could send refugees your way (as with earthquakes). Here is a guide to hurricane preparedness. 9. Flooding – Even if you don’t get don’t get any wind damage, flood waters can be devastating. Flash floods are one of the most dangerous natural disasters, because we can’t predict when they will happen and when they do happen, they happen fast and without mercy. 10. Blizzard – During the winter, a large enough blizzard can literally shut down your entire city. And if the power goes out, you’ll need to know how to stay warm until it’s fixed. Here’s how to survive a blizzard. 11. Pandemics – Pandemics have tragically claimed millions of lives over the course of human history. If the fear of the next big plague enveloping your area doesn’t motivate you to begin prepping, what will? Here’s what to do. 12. Home Invasion – If you have valuables in your home and people know about it, you run the risk of having your home invaded by burglars. Would you survive? 13. EMP Attack – An EMP attack would essentially throw us back to the Stone Age. Electricity and power would be completely out, meaning the lights will be out, our cars won’t start, and planes will literally fall out of the sky. Here’s what to do before that happens. 14. Wildfires – A wildfire can become uncontrollable when it’s allowed to go too far, and if it’s happening in close vicinity to your home, the authorities will likely require you to evacuate. Check out these wildfire survival tips. 15. Landslides – Landslides are most likely to happen after heavy rainfall, and if you live on the edge or under a mountain, you’ll be vulnerable. Here’s how to survive a landslide. 16. You Lose Your Job – This one is a little more personal, but have you ever thought about what will happen if you lose your job? Losing your job could also be tied to a greater economic crisis like we talked about earlier. Stashing away money and provisions is a great way to prepare. 17. Food Supply Poisoning – This is a threat that most people don’t think about, but it’s still one that’s very real. 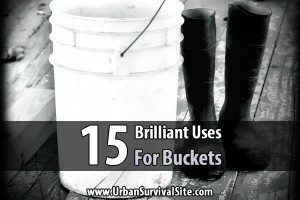 Make sure you have lots of long-lasting survival food. 18. Water Supply Contamination – This is an even bigger threat than food supply poisoning. And keep in mind that when governments go bankrupt, the local water supplier won’t do a very good job keeping the water clean. That’s why you should store plenty of water. 19. Social Unrest – The volatile world we live in means that things like widespread riots are a very real threat to our security, especially if you live in an urban environment. 20. Martial Law – Martial law could develop as the result of social unrest or another kind of disaster, and when it happens, your city will be shut down and life as you know it will change drastically. Here’s what will happen during martial law. 21. Death of a Family Member – The death of a family member will undoubtedly hit you hard emotionally, and it will also hit you hard financially if that family member as the primary caregiver. 22. Saving Money – You may never have known that it was possible to actually save money with prepping, but it is. Prepping teaches you how to get many uses out of items, how to search for bulk items on sale, and so on. Installing solar panels and water collection systems will save you money in the long run, too. 23. Exercise – Prepping can be a very physical activity and one of the best things you can do for yourself is to stay in shape. What good is stocking up on supplies if you aren’t physically prepared to actually use all of it? 24. Auto Trouble – Do you know what you would do if your car broke down on your next road trip? Making preparations for auto emergencies such as this would certainly come in handy, especially if your car breaks down in the middle of a blizzard or the desert. 25. Medical Emergencies – Stockpiling medical items and receiving training in how to use them will ensure that you can adequately attend to yourself or someone else in a medical emergency. This will be very important if you can’t get to a medical clinic or a hospital fast enough. 26. Lower Your Stress Levels – If you have any stress at all about what you will do should disaster strike, knowing that you are making preparations to survive that disaster should at least give you some peace of mind. 27. Feel Confident Rather Than Helpless – The very act of prepping, gathering your supplies, and training yourself in how to use them, is going to make you feel a lot better about yourself and improve your self-esteem as a whole. 28. You’ll Become Self-Sustainable – If you grow your own food and collect your own water, you and your family could become completely self-sustainable and not reliant on grocery stores. This will be huge if the food supply chain is broken. 29. 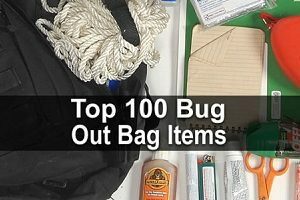 You’ll Always Have a Bug Out Bag – At the very least, you can prep by building yourself a bug out bag so you’ll be ready to evacuate with supplies at a moment’s notice. 30. The Government is Preparing – Most people don’t know this, but the government is preparing for disasters on a daily basis. If they are preparing, it’s a clear sign that you need to as well. 31. You’ll Keep Your Family Safe – Fundamentally, prepping ensures that you make the necessary preparations to keep your family safe in a survival or disaster situation. This is your primary motivation to prep. 33. You’ll Make Friends – I’ve made several friends (in person and online) thanks to my interest in prepping. Preppers are some of the most interesting and knowledgeable people you’ll ever meet, and they tend to be very loyal friends. 33. Prepping is Fun – Many people prep simply as a hobby and get a lot of enjoyment out of it, so why can’t you? 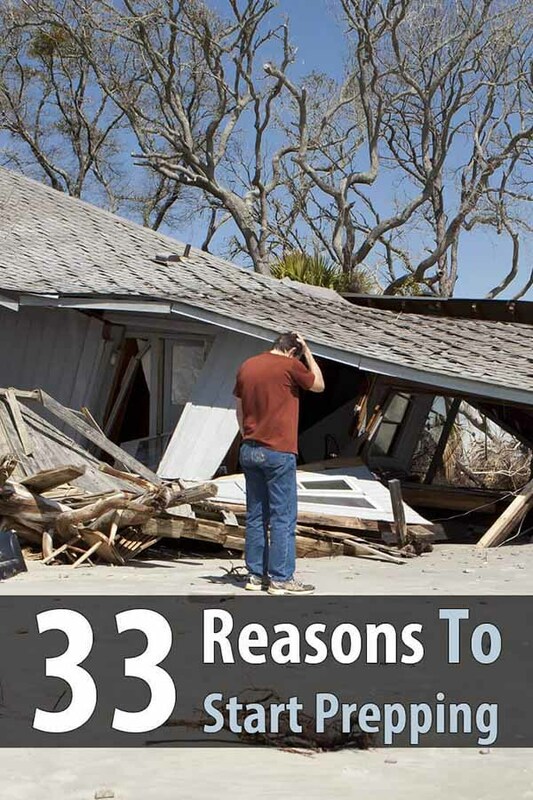 As you can see, there are plenty of reasons why you should set aside the time and money to prepare for an emergency. You’re not crazy if you do. On the contrary, you’re simply being responsible and improving your ability to protect your family in a crisis. Keep in mind that you don’t have to dedicate your entire life to prepping. While there are certainly some people who devote all their free time to preparedness, there are also people who live completely normal lives and simply prepare as a hobby. Prepping is an important responsibility to take upon yourself for the safety of yourself and your loved ones. Hopefully, these 33 reasons have persuaded you start making some basic preparations.